It takes years for a plumber to get his or her license, and that type of experience and skill shouldn’t be taken lightly. Call us for plumbing repair or to perform general cleaning, and expect our Corona Del Mar plumber to be right over in one hour. When plumbing problems happen, it is nice to know that there are technical persons you can readily approach near your location. Here at OC Plumbing Pros, our plumbers are equipped with the right skills to perform any plumbing system job competently. Our personnel comes fully prepared with everything that may be needed for the repair or installation job, including spare parts, so no time is wasted to get things done. Call us 24/7 at (949) 371-8413. Professional Water Heater Installation and Repairs by a plumbing company: When your water heater is damaged, you immediately think about buying a new one but it’s recommended that you let us look at your damaged water heater first before you make a decision. You might even save more money this way. Your water heater malfunctioning does not necessarily mean your unit has reached the end of its life. While there, we can also see if you are not overloading or overusing your heater at all. Efficient Drain Cleaning Services Keep The Water Flowing: Homeowners tend to overlook the importance of clean drains, until water backflows, refuses to go down the drain, or if at all, is slow to do so. The effects of a clogged drain can be annoying and unhygienic. Rest assured, though, that we know just what to do in cases like this, and because we have access to the most modern tools and equipment, we can ensure flawless solutions to keep the drains open. This means we can localize the repair, and don’t have to replace all your pipes. Detecting and Repairing Water Leaks: If you cannot locate the leak yourself in your Corona Del Mar property, especially in the case of slab leaks, which are difficult to spot without the proper tools, have our qualified team over to check it out and repair it. If we can save you a lot of money, then we go home happy. We’ve had cases when homeowners came back from a vacation to find their house in wreck because of an unattended water leak. In less extreme cases, a leak can cause a sudden surge in your monthly bill. Our aim always is to keep the costs for our customers to the minimum. Water leaks are more than an annoyance; they can seriously damage your floors, walls and ceilings, not to mention your furniture or appliances. Emergency Plumber Corona Del Mar – Call Us Now! Efficient Re-piping, Garbage Disposal Repair and Installation Services: If the pipes in your Corona Del Mar home need replacement or re-direction as may be necessary when you are going to undergo a major renovation project, give us a call to do the job competently and safely. Our technicians did complete the necessary training to secure their license. Therefore, give us a call and we will see if your unit can still work just fine after repairing it. If you need to install new pipes or reroute old pipes in case of building renovation, we can lay down the plans and send you the blueprint the soonest possible time. To show that in every job we do, we have the full backing of the city. Protect Your Family, Repair a Broken Toilet: That means limiting the number of hours we are in your home, and that means working fast. Take confidence in our team because we have the capability to deal with your “toilet” situation immediately, no matter how bad it looks. Besides compromising comfort, it can also compromise your health, more so if the problem occurs in your home. Have our plumbers over to see what the problem is and recommend for replacement, if necessary, especially in the case of broken toilets. A damaged seal in your toilet is not just gross, but actually a health issue. 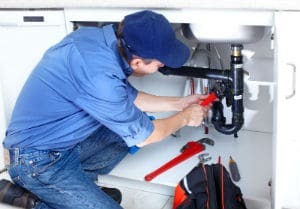 24/7 Hotline at OC Plumbing Pros – Always Open to Serve You: We, at OC Plumbing Pros, realize that plumbing emergencies can catch you off-guard, thus we make sure to be around 24/7 to render the necessary assistance. We know the nature of each problem, but there are issues that are more severe than others. Plumbing problems are not only inconvenient, they also can cause damage to property and health if left unattended for long. Our customer representatives can answer all your queries and quell all your worries – (949) 371-8413. Call Our High-Quality Plumbers Now! We never tolerate mediocrity in everything we do, and especially in the way we deal with our clients. Give our Corona Del Mar plumbers a call and you will understand why we come highly recommended in the area. Ultimately, you are the only who will decide on which of these options is the best choice. Call us and let us tell you more about our plumbing repair and installation services at OC Plumbing Pros. Call our plumbing contractors today at (949) 371-8413!